While I’m not a huge fan of Anime and Manga, reading Naver Webtoon series is indeed quite an interesting way to immerse ourselves in the Korean language. I’ve also mentioned in a previous article that I’m personally reading the 언터처블 series right now and some of the Vocabulary posted are learned from reading Naver Webtoons! In this blog post, I’ll list down some of my thoughts on why I think Korean learners should definitely read Naver Webtoons, regardless whether you like comics and cartoons. The pictures just make the webtoons even more interesting and funny at times too. Understanding simple conversations is important if you want to improve your Korean proficiency, especially the conversational aspects. As I’ve mentioned, I learned a good amount of vocabulary and expressions from webtoons. 95% of the text in webtoons are dialogues between characters so you won’t be overwhelmed by walls of text like in news articles or blog posts. This alone for me is a very compelling reason to read webtoon series. Getting exposed to daily conversations and how the webtoon characters express their feelings in a natural manner is an important key to improving. You will realise that various popular and trending slangs would appear in the webtoons as well. This is especially so if you’re following a recently uploaded episode or series. 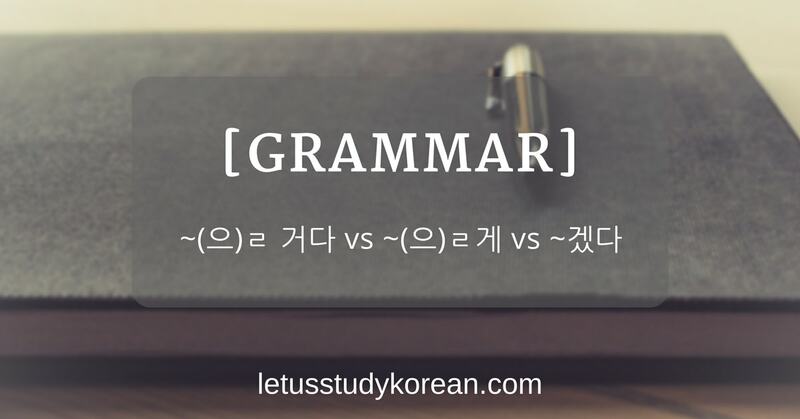 Whenever I recommend anything on Let’s Study Korean 한국어 공부하자, I follow a strict rule – it must either be affordable (for students and learners with low to no income) or free. In this case, Naver Webtoons are free to read. You just have to download it either on the Apple App Store, Google Play Store or read it on the site version (automatically switches to the mobile site if you’re viewing from mobile). There are other webtoon providers (Korean), such as Daum Webtoon, KToon, and many others but I personally prefer Naver Webtoon over the rest. 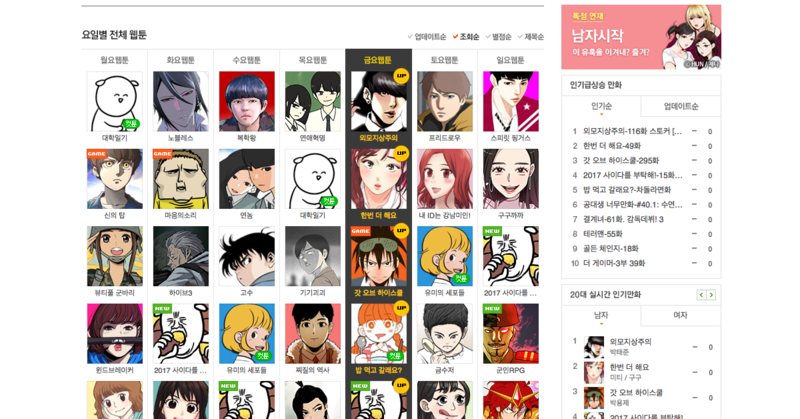 Mainly because of the user interface and most popular webtoon artists publish their work on Naver. Of course, if you see a great webtoon that you’re interested in reading on other webtoon websites, don’t restrict yourself! I’ve read 냄새 보는 소녀 on KToon previously after watching the drama adaptation of it just out of curiosity. I’m pretty sure KToon, Daum and other webtoon providers are awesome in their own ways but the user interface and ease of use are the key factors for me. 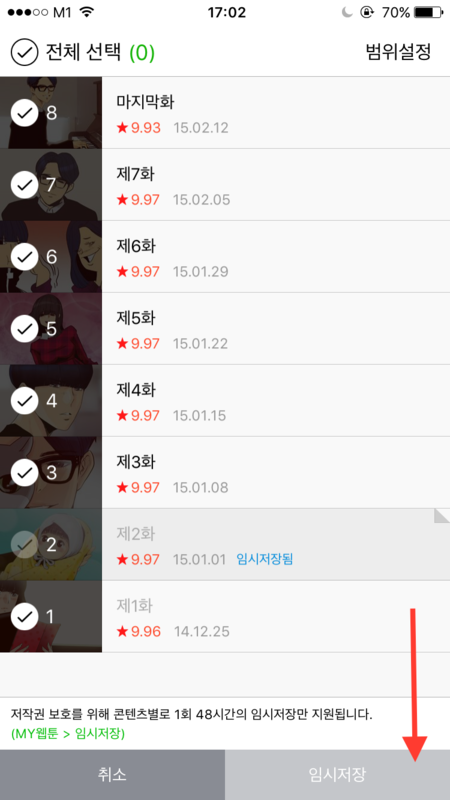 Last but not least, this is another great feature of Naver Webtoons too – allowing users to download and read offline. I’m pretty sure there are other ways we can download and save webtoons from Daum, KToon and other webtoon providers. But it usually involves a lot more cumbersome methods. For Naver Webtoon, it’s really easy! Look at the screenshots below and you’ll understand. 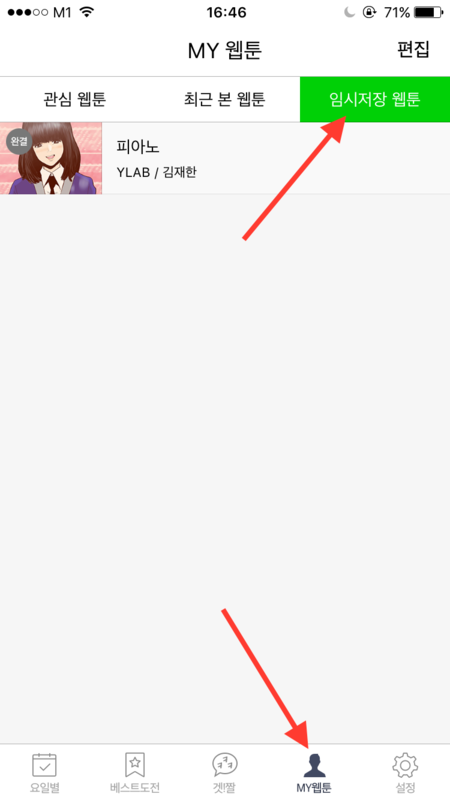 Click on the 3-dot icon at the top right-hand corner of the episode that you want to download. Click on 임시저장, which means to “save temporarily to storage”. You will see a progress bar, which is essentially the download progress of the episode that you want to download. Go to MY웹툰 and click on the tab 임시저장 웹툰 and you’ll see all of your downloaded episodes! Note that all downloads are temporary and limited to only once per user. After 48 hours, the downloads would be unavailable if you’re not connected to a 3G/4G network or Wifi. You could also download more than one episode at one go. 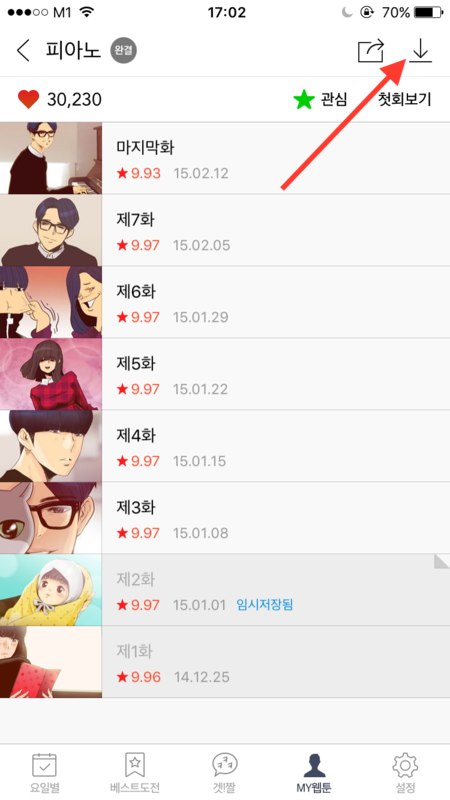 Click on the download icon on the top right-hand corner of the webtoon series. Select the episodes that you want to download and click on the right button at the bottom of the screen 임시저장. Likewise, go to MY웹툰>임시저장 웹툰 to view your downloaded episodes! In my opinion, Naver webtoons are great for intermediate and advanced learners, especially those who are trying to get a hang of natural conversational Korean. 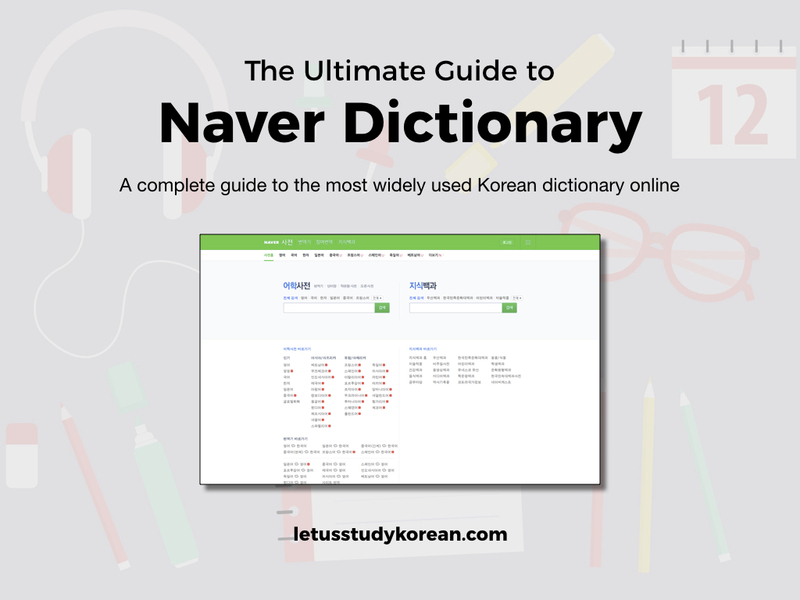 Beginner learners would surely find it hard to understand and follow the webtoon series without many pauses in between dialogues to look up vocabulary on Naver or Daum dictionaries. I know because I did try to read webtoons while I was still at the beginner level! Anyway, for reading practice and to some extent, speaking practice, webtoons are great. You can use webtoons for speaking practice by reading out loud while reading. Reading out loud is one of my personal routines to get better at pronunciation and fluency in speaking. That’s why I have a Speaking Practice section on LSK, where I share my own recordings (and transcripts, of course!) and others can share their own attempts (by using Vocaroo) in the comments! Hope this blog post helped you in understanding Naver Webtoons better and in your Korean studying journey. Until next time, Let’s Study Korean 한국어 공부하자! Would you consider Manga to be the Webtoon equivalent for studying Japanese? You said you weren’t a fan of Manga, was due to personal preference or as a language learning tool? I wouldn’t consider Manga to be a useful resource for beginners because it involves knowing Kanji and each kanji’s multiple readings. But with Korean, the simplicity of Hangul (the Korean script), allows beginners to use Webtoons/ song lyrics/ whatever else they like to boost their Korean studies. Hi, how do you learn using webtoon? I mean, do you write down the dialogue or how? There are lots of difficult words for me. I think just reading will never gonna work for me. Hello Naz, thanks for reaching out! I personally read out the Webtoon dialogue out loud when I can and search the dictionary for vocabulary I don’t understand. The biggest challenge for me at the start is understanding the grammar structure of some of the sentences the characters use. Korean slangs are harder to catch and understand but sometimes you can find the meaning by Googling. Hello! Thank you for this tip! However, I can’t seem to be able to download webtoons on my Naver Webtoon app. 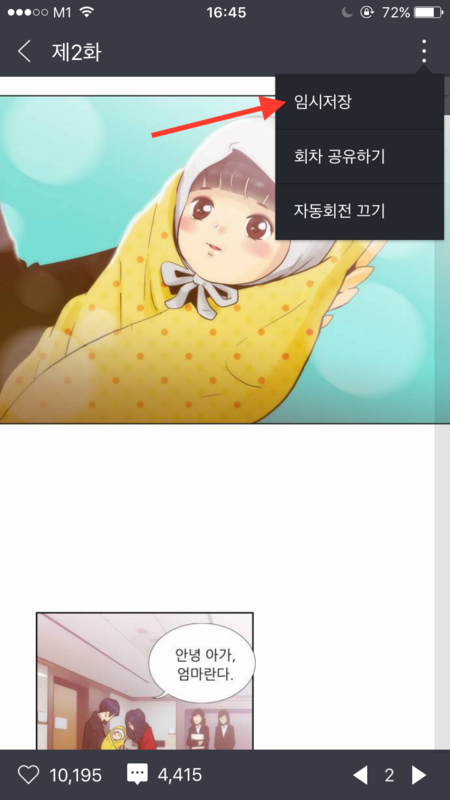 The download button is gray and there’s no option to download while reading the Webtoon itself. Do I have to turn downloads on in the Settings or something? How do I do that? Thank you so much! Hello! I just tried it on my iPhone 7, though… It works! Do you mind showing a screenshot of the greyed-out button? hi I just downloaded webtoon but everything is in English and Korean wasn’t offered in the list of languages you can switch to. Does anyone know where I went wrong or how to change the language to Korean ? This is a pretty cool app used for studying Korean with Webtoons. 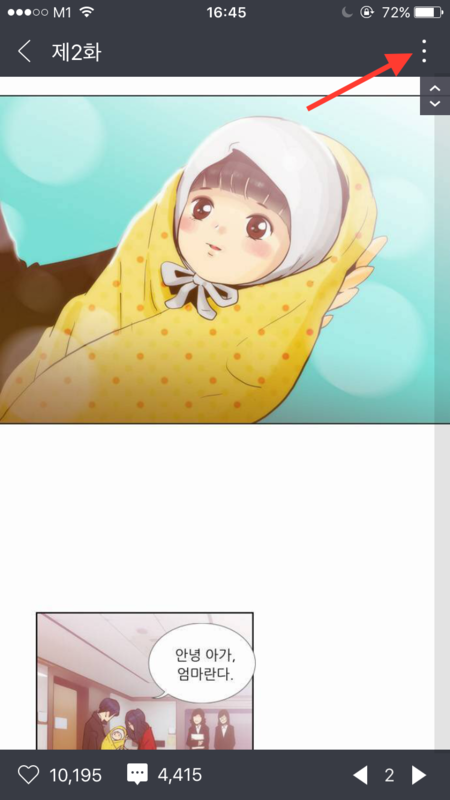 It links English and Korean webtoons with simultaneous scrolling and page turns so that a Korean learner can use the English version as a reference.